Like any other field of endeavour, the field of mathematics is well-populated with fascinating anecdotes. Many of them are true. Some of them are difficult to verify. But they all help to build the cultural fabric of mathematics. 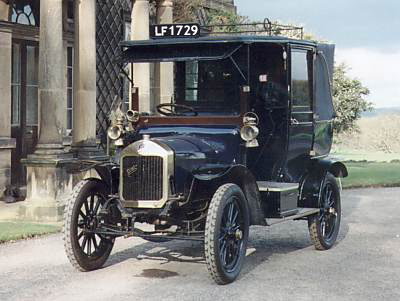 Why do I illustrate this with the picture of a WWI taxi cab from London? You will have to read (below) about Srinivasa Ramaujan to find out! 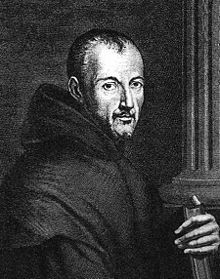 The French mathematician pictured here, Marin Mersenne (1588-1648), was fascinated by prime numbers. At one point, he was examining numbers of the form 2ⁿ-1 (now called Mersenne Numbers) and wondered what values of n would produce prime numbers. He rapidly deduced that n, itself, had to be prime, but there were more challenges in store because this was not always true. For example, even though n = 11 is prime, M11 = 2¹¹-1 = 2047 = 23 × 89. Yet, the largest known prime number (2^57,885,161) − 1 is a Mersenne prime. Mathematicians still do not know if there are an infinite number of primes among the Mersenne numbers but their search is helping them understand numbers better. To understand this anecdote, it is important that you know that the French mathematician Édouard Lucas (1842-1891) had demonstrated in 1876 that M67 must have factors (i.e., is not prime). Unfortunately, he was unable to determine what those factors were. In 1903, for the 31 October meeting of the American Mathematical Society, Frank Nelson Cole had announced that he would speak "On the Factorisation of Large Numbers." He turned to the chalkboard and, in complete silence, calculated the value of M67 (which was 147,573,952,589,676,412,927). Then, next to that calculation, he wrote 193,707,721 × 761,838,257,287 and proceded to calculate that product. Upon demonstrating that the two results were equal, he received a standing ovation. He had not spoken a single word during the entire presentation. This public address is still known in mathematical circles as the only occasion in which a mathematical presentation has been made without any use of the spoken word at all. It is also said to be the only talk ever held during an AMS meeting where the audience applauded. Ernest Rutherford (1871-1937) was a famous New Zealand physicist. The story is told that one student in his laboratory (in England) was extraordinarily hard-working. Having taken note of this, Rutherford apparently asked him one evening, "Do you work in the mornings too?" The student, expecting commendation, proudly replied, "Yes!" Whereupon Rutherford asked in amazement, "But when do you think?" One of the most famous mathematical anecdotes almost certainly involves a French-build Chic cab of the kind illustrated here. They were popular models for taxi cabs in London around the end of WWI. I recommend that you learn something about Srinivasa Ramanujan, who was one of my boyhood heros. He was a largely self-taught mathematical prodigy from India who applied to study at Cambridge university and sent nine pages of his mathematical notes/theorems with his letter of application. The collection astounded Professor G H Hardy and his fellow mathematicians. Some they recognised; some they managed to prove after some considerable effort; and some they were unable to prove. After he saw Ramanujan's theorems on continued fractions on the last page of the manuscripts, Hardy commented that "[the theorems] defeated me completely; I had never seen anything in the least like them before." He figured that Ramanujan's theorems "must be true, because, if they were not true, no one would have the imagination to invent them." Raqmanujan sailed for England in 1914 in order to study at Cambridge University ... and a fruitful mathematical partnership developed between him and Professor Hardy. Ramanujan had an extraordinary knowledge and understanding of the properties of numbers. He was referring to the fact that 1729 = 1³ + 12³, but 1729 = 9³ + 10³ as well. He knew that 1729 was the smallest positive integer that can be expressed as the sum of two (positive) cubes in two different ways!